Engineers will soon conduct a crucial test of a futuristic technology championed by entrepreneur Elon Musk that seeks to revolutionize transportation by sending passengers and cargo packed into pods through an intercity system of vacuum tubes. Hyperloop One, the Los-Angeles-based company developing the technology, is gearing up to send a 28-foot-long (8.5 meter-long) pod gliding across a set of tracks in a test run in Nevada in the next few weeks, spokeswoman Marcy Simon said. Hyperloop One is working to develop a technical vision proposed by Musk, the founder of rocket maker SpaceX and electric car company Tesla Motors. In 2013, he suggested sending pods with passengers through giant vacuum tubes between Los Angeles and San Francisco. Hyperloop aims to achieve speeds of 250 miles per hour (402 km per hour) in its upcoming phase of testing. As it gears up for that experiment, the company on Wednesday released the results from a May 12 test in the Nevada desert. A Hyperloop One sled on wheels for the first time coasted above a track using electromagnetic propulsion and magnetic levitation, Simon said. It levitated for 5.3 seconds in a vacuum-sealed tube and reached speeds of 70 mph (113 kph), the company said in a statement. By comparison, another test by Hyperloop One that made national headlines last year was done on an open-air track, not in the tube, a key to achieving high speeds. Backers of the project envision the pods reaching speeds of 750 mph (1,200 kph), but skeptics say the hyperloop idea faces real-world challenges ranging from obtaining construction permits to making turns at jet speed. 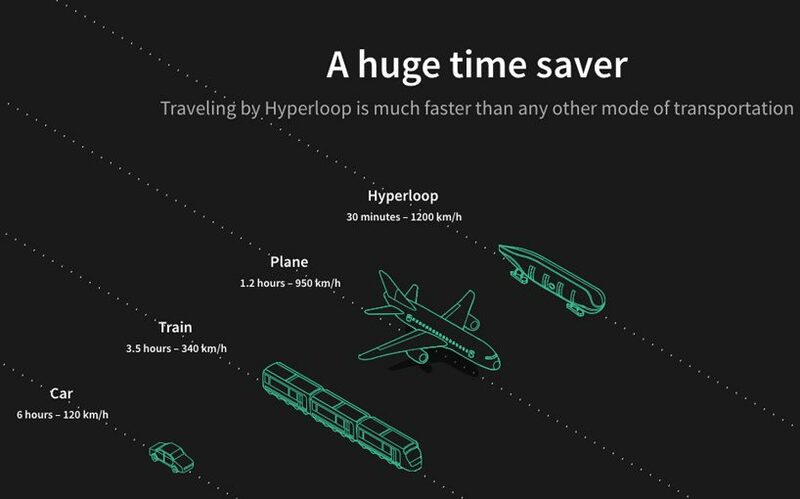 Hyperloop One has raised $160 million in funding and has touted the technology’s potential as a rapid-transit option. “Hyperloop One will move people and things faster than at any other time in the world,” Shervin Pishevar, co-founder and executive chairman of Hyperloop One, said in a statement. This entry was posted in Documentation, Music/Video and tagged Hyperloop, USA. Bookmark the permalink.